For its proximity to Yala Park, comfortable accommodation and a reasonable price, Cinnamon Wild is a popular place to stay. Named as a tribute to the surrounding wilderness of the Yala National Park which houses the highest density of leopards in Asia, Cinnamon Wild Yala sits adjacent to the park boundary and could very rightfully be positioned as an extension of the park. 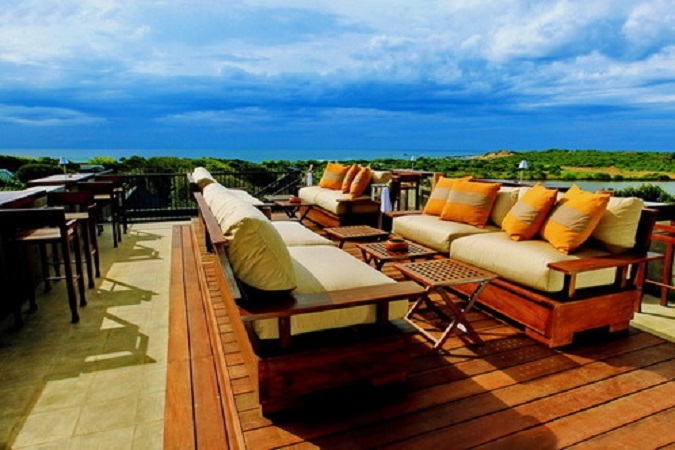 A property that was first established in 2002 as an eco-friendly resort for wildlife enthusiasts visiting the Yala National Park, Cinnamon Wild Yala opened its doors after an extensive re-construction and refurbishment as a world-class game lodge, conceptualising the unique architectural features of the ‘Wild’ into its rustic exteriors and luxurious interiors. 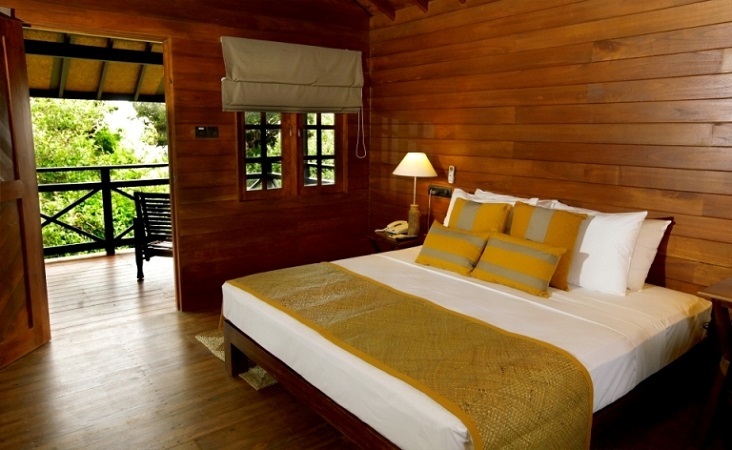 Cinnamon Wild is situated at Kirinda, bordering the Yala Wildlife Sanctuary and the Indian Ocean. Spanning ten acres of jungle and endless miles of beach, Cinnamon Wild is truly a nature resort of untamed beauty. 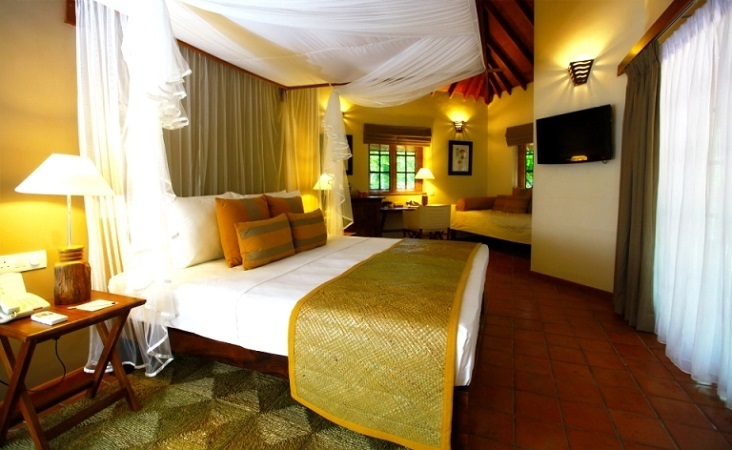 The property has a total of 68 rooms which include 8 Beach Chalets and 60 Jungle Chalets. All rooms are air conditioned and equipped with mini bar and telephone. There is also a swimming pool, Spa and restaurant at the resort. The rooftop bar is a great place to grab a sundowner and admire the panoramic views of the wilderness, ocean and lagoon. Due to its proximity to the park, it is not uncommon for wildlife including elephants, wild boar and even leopards to pass through the property grounds.